PCA’s art program is amazing. We are so thankful to be a part of this program and can’t wait to see what God, the Master Artist, has planned for the future of the PCA art program. 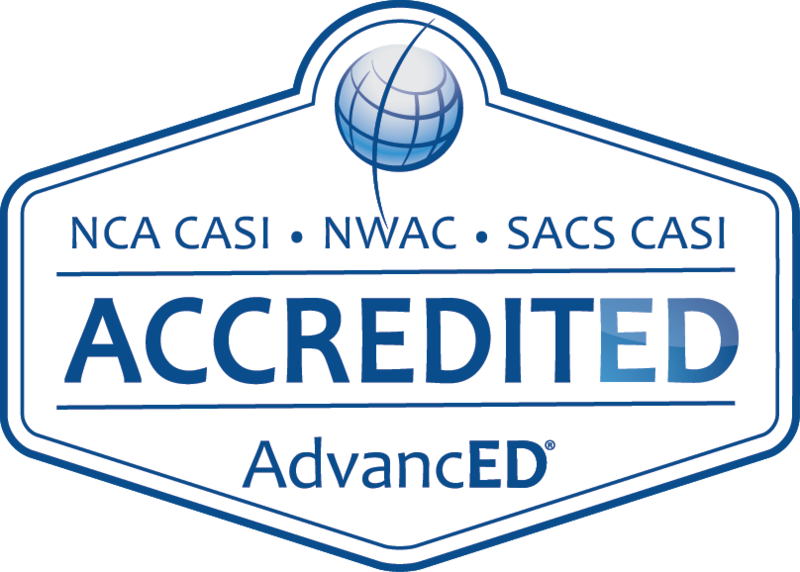 Prestonwood Christian Academy's award-winning visual art department is a dynamic and active part of the Fine Arts at PCA. 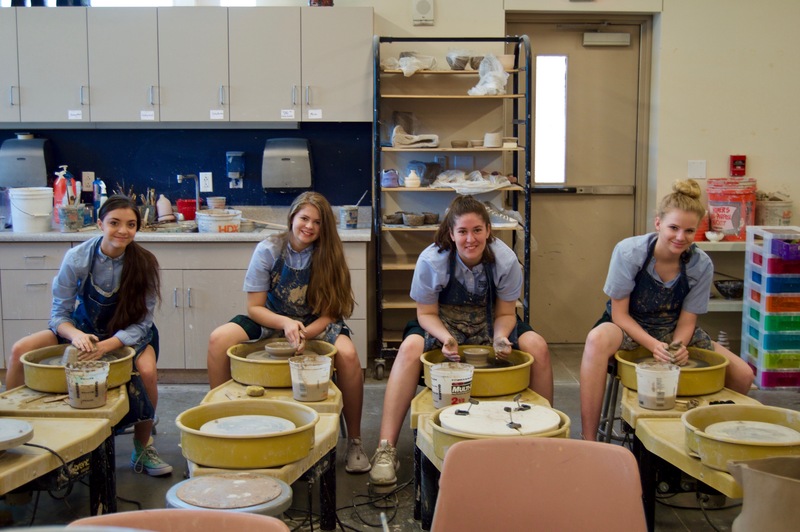 Students achieve success and recognition each year at local, state and national levels and the Upper School Art Department has won the TAPPS State Art title numerous times. PCA's incredible art faculty is a talented group of artists and teachers with a passion for sharing their skill set and love for visual art with their students, all while modeling a Christ-like lifestyle and attitude toward their students. Students in PreK-3 through First Grade explore a variety of different media and are encouraged to explore their creativity freely. Basic skills and art vocabulary are used to begin building a foundation for further study. Second through Fourth Grade students increase their technical skills and begin a more in-depth study of art and design principles, such as color theory and form. 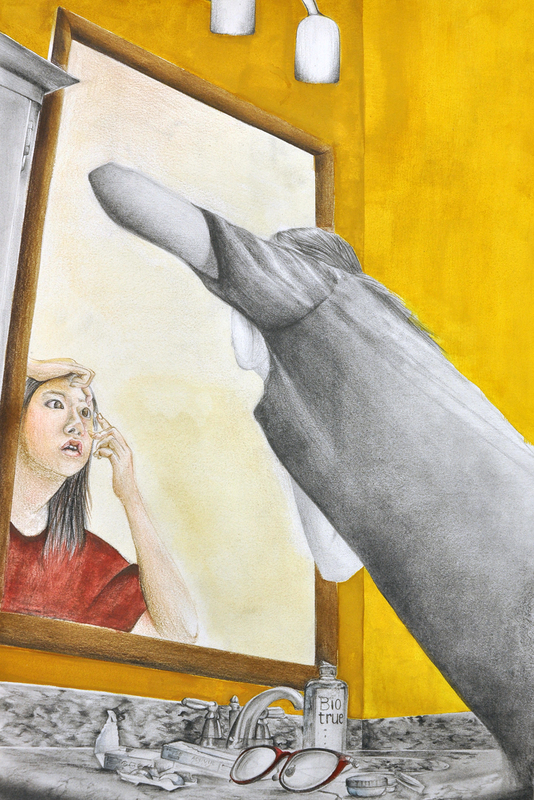 Drawing from observation, a variety of painting media and collage are emphasized. Lower School art students participate annually in the ACSI Art Festival as well as the Lower School "Art Explosion." In Fifth and Sixth Grade, students are introduced to even more art techniques and tools and have a larger focus on 3D sculptural works. Moving into Seventh and Eighth Grade, students learn basic color theory and compositional elements as well as the building blocks to any successful work of art. An emphasis in critical analysis is stressed along with peer critique as the students progress through the semester. The students learn value, spacing, and form while being introduced to a wide array of new materials and media. The Middle School art department also competes in ACSI every year as well as participating in various events throughout the year in which artwork is displayed for the student body and parents. As students transition into Upper School, greater rigor is implemented into the curriculum. Art students are met with a variety of class options ranging from traditional art forms such as sculpture, drawing, and painting to more contemporary art forms such as advanced Photoshop and digital art. Research papers are introduced into the curriculum as students learn how to decipher a work’s meaning and intent by the subject matter and elements of art used within the work. PCA’s upper level art students compete each year in ACSI, VASE, Scholastic and Congressional art festivals, gaining valuable experience and national exposure as well as excellent scholarship opportunities. Tina Nivens graduated from Baylor University with a B.S. in Fashion Design. She began her career working in the fashion industry as well as graphic design. Her educational career began 21 years ago as a K-Twelfth Grade visual arts teacher at a school in Garland, Texas where she taught over 600 children and teens. With Tina as its fine arts director, the school built a championship visual arts program. During her time at PCA, Tina has been involved in writing curriculum, teaching AP, drawing, ceramics and Photoshop. She has led the department to win six consecutive district TAPPS championships and three consecutive state TAPPS championships. Her personal artwork has evolved over the years from drawing and painting to clay, mixed media and more recently an enthusiasm for encaustic work. She is a member of the National Association of Photoshop Professionals and the Potters Council. She has been involved in SOFA summer art camps and her own summer art program, Clay Creations. Her passion is to nurture students with a drive for creativity and visual arts and encourage them to pursue excellence in their personal work in order to impact the culture through the unique worldview found in Christ. She also has served in her local church as a pastor’s wife and leader in AWANA and children’s ministry. Mallory Goerk is a 2009 PCA Alumna. Graduating from the University of North Texas with two Bachelors of Fine Arts in drawing/painting and watercolor in 2014, she went on to receive a fellowship from the University of Florida for a master’s degree in sculpture. She was an instructor of record for two years at the university teaching sculpture courses where students investigated the fundamentals of sculpture through art and design. Throughout the past eight years, Mallory has exhibited her artworks in Dallas, Fort Worth, and in Gainesville, Florida. She married a fellow sculptor in the program, David Goerk, in December of 2016 and inherited a tabby cat. Both Mallory and her husband love to build, make, and paint anything and everything. They are members at Watermark Community Church. During all her years of schooling, the Lord fervently pursued her and called her into true obedience. She is excited to join the PCA team once more, but on the side where her job is now to lift up the great Creator and to encourage, challenge, and prepare all students for the life up ahead. Carolina Balma has a Bachelor of Fine Arts from Texas Woman’s University with a concentration in Art Education. She spent her first ten years teaching in Plano and McKinney Texas and joined the PCA fine arts team in 2015. Carolina’s love for art started from her childhood when drawing and coloring were more than just a pastime, it was already a passion. “I used to spend hours coloring and imagining my pictures coming to life. I would look at professional art and just dream of one day being able to create something so beautiful as the pieces I would see in books and magazines.” She has learned over the years that art is not just for the natural born gifted child. She believes art requires more than just imagination or talent; it requires practicing skills, patience and passion. Mrs. Balma’s favorite thing about being an art teacher is getting to teach the foundational elements and principles of art. She loves watching what each student will create with the skills they learn. She cherishes seeing student growth in the appreciation of art and art making. She believes that God is the ultimate creator and divine artist, and He created everything with a purpose, with beauty and majesty. In her spare time, she enjoys drawing, watercolor and ceramics. Becky Locklin obtained a Bachelor of Science in Advertising with a minor in Fine Arts from Texas Woman's University. She earned her Masters of Education Degree from Abilene Christian University while having her own art studio, which gave her the opportunity to instruct in a small group setting. After graduation, she taught in the Dallas Independent School District teaching pre-kindergarten through Fifth Grade art. While at DISD she led several of her students to be recognized in academic art competitions, with one of her students being recognized in the Texas Girls’ State Fair by the Women’s Museum. She currently lives in Southlake with her husband Paul, and two daughters, Riley and Shelby. She enjoys reading, painting, shopping and going to the beach with her family. They are involved in their church, Gateway in Southlake, where they teach Sunday school to preschoolers. Becky joined PCA's art faculty in 2012. Tammy Click graduated from Abilene Christian University with a Bachelor of Fine Arts and a concentration in Graphic Design. She began teaching at Prestonwood Christian Academy in 1997. Her children are both alumni of PCA. Austin graduated in 2005 and Tiffany Click Willis in 2008. Tammy and her husband Marty Click met in an advanced Drawing class at ACU and have been married for 34 years. She specializes in drawing, architecture, pastels, watercolor and printmaking and teaches a variety of mediums at PCA’s North campus. Tammy loves teaching students about visual art and how it is a reflection of our awesome Creator. I love seeing each student find their own voice as they create art with excellence and reflect the glory of God in their work and in their lives.